The elevation keeps the summers cooler than in Phoenix where the thermometer can hit 60°C. But it also makes for cooler winters with snowfall in some areas. While somewhat of an overstatement, July into early September is known as “monsoon season” for the heavy rains that can fall. Early autumn is often ideal, with dry, sunny days in the 25 C range. Air Canada and WestJet, as well as several U.S.-based airlines, have flights from Canada to Phoenix International Airport. Once in Arizona, bus tours can take you to major attractions like Canyon de Chelly and Monument Valley in the Navajo Nation. The sheer number of natural wonders and unexpected roadside attractions, however, merits a rental car. You want to be able to pull over whenever inspiration strikes—which will be often. From Phoenix take Highway 17 north to Flagstaff, continue north on Highway 89 to Tuba City, a centrally located town on the western side of the Navajo Nation. Roads are in excellent condition (when paved), but not all are open to the general public and may only be travelled by those on guided tours. The same applies to hiking and horseback riding in certain tribal areas. For instance, with the exception of one short trail, you are required to have an authorized Navajo guide to explore the canyon floors of Canyon de Chelly National Monument, which is entirely within the boundaries of the Navajo Nation. Fortunately, there are a number of excellent adventure outfitters with experienced local guides and well-planned itineraries showcasing the reservation’s spectacular sites. Talk about spoiled for choice. 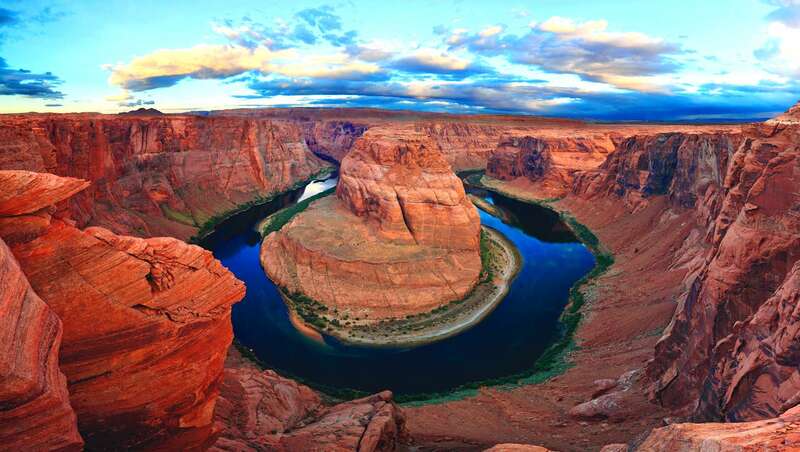 The Navajo Nation boasts over a dozen national monuments, tribal parks, ancient ruins and jaw- dropping natural wonders. Photography is an obvious choice. Short of leaving the lens cap on, it’s impossible to take a bad picture. Just be sure to get prior consent before photographing the people or their property. For avid shoppers, local artisans are renowned for silversmithing, basketry and rug weaving. The entire Navajo Nation is dry. While bootlegging does go on, being caught with smuggled booze could land you in the clink.